I love looking back at the art I’ve done. It all started back in 2014 when Taylor Swift released 1989. Her watercolor painting and her album really inspired me to start painting. I’ve always been creative, but the last time I painted with watercolors was back in high school and even then it was only once or twice. Over the past four years my art has improved and I never really realized it until I looked back at my older stuff.. I’m glad I kept some of my old stuff so I can look back at what I’ve done. It’s funny though, because I look back at some of the stuff and it’s almost embarrassing.. but we all start somewhere. The year I started to paint, all thanks to Taylor. 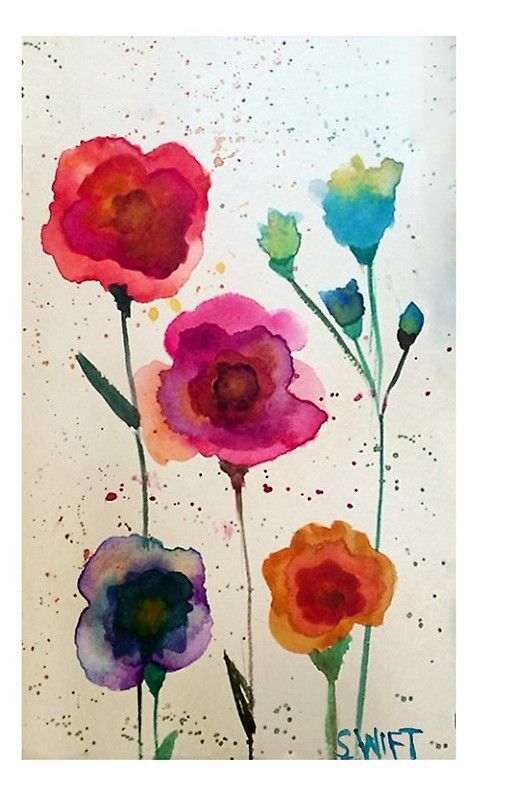 When I first started all I painted was random floral doodles or colored backgrounds. Really simple stuff. I only ever wrote Taylor’s lyrics and never really used different quotes until a couple years ago. I started painting just because it was fun. I would listen to Taylor’s music, paint, and write the lyrics that meant the most to me. It was honestly one of the most relaxing times of my life and I don’t think I would have painted again if it wasn’t for Taylor or her lyrics. I was pregnant with Alison I didn’t really paint very much. I was really uncomfortable and didn’t really find the time to be honest. It wasn’t until she was one when I started to paint again. I finally felt like I could take time for myself and something I loved to do. I still painted Taylor’s lyrics and that didn’t really change until October of 2016. That is when I made this blog. It was the first time I felt important and free enough to share my story. I chose the name “loveyours” based off of J.cole’s song love yourz link: here. The lyrics that stuck out to me the most was.. “No such thing as a life that’s better than yours, love yours.” && “There’s beauty in the struggle.” It really put things into perspective for me because I didn’t love my life, love myself, I thought I was alone, unwanted, ugly, stupid the list goes on. I always thought that my struggles were terrible and I hated them. I wanted to be ‘normal’ if that even existed. “You ain’t ever going to be happy to you love yours.” I really wasn’t and I knew that I needed a positive outlet to share my thoughts. After I made my blog I started to think of the art I was making. I wanted to expand the quotes or lyrics from Taylor and make it something that more people would recognize or appreciate (even though Taylor is AMAZING) I knew I had to start using different quotes if I wanted to attract more attention. Was the year I started to paint and experiment A LOT. I bought better quality paper, paints, supplies.. It was so much fun to explore creativity. Even looking back just a year ago, my art has changed so much. In April, I decided to start selling my art. I made my Etsy account, Facebook page, and Instagram in the middle of April. I used username loveyoursCA “loveyours” from J.Coles song && CA for Canada! I knew I wouldn’t make much profit… that isn’t what it’s about.. I wanted my art to inspire people. To have something positive that they could display at home or at work for a daily positive reminder. To this day, I’ve had over twenty sales combined from craft fairs and my Etsy shop. It’s really surreal when someone buys something you’ve created and even cooler when you see it displayed. I’m hoping I’ll be doing more craft fairs this summer or fall because I love being in person and explaining what love yours is about. I love looking back at my art because I get to see the progress from then and now. We usually look at the progress within ourselves and not what we are actually doing. That was the cause for me at least. It’s important to look at your accomplishments and see how far you’ve come from the small things to the bigger things. Whether that be with work, school, or a small business. We all start somewhere and I am so glad I started to paint because it lead me here to all of you. If you would like to purchase any of the art above let me know. I will post links below for the artwork that is available in my Etsy shop. I haven’t put any of my older work in my shop, but can if there’s any interest. It would definitely be marked down in the clearance section! !